It might look serene, but who knows what's around that next corner? There are only a few levels I have left to complete, but I'll probably be trying to focus on more dialogue work and getting voice actors to fill the remaining roles for the adventure in the near future. The vast majority of the dialogue work at the moment is getting the scripts into a readable and understandable format for potential voice actors or getting voice cuts integrated into the game itself. Once that's complete, I'll be putting out a full audition list of all remaining characters that need to be voiced. Stay tuned! First things first: Big spoiler alert. I will be discussing the story of all the first four Assassin's Creed games, so if you haven't played everything before Assassin's Creed 3 and don't want events ruined for you, stop reading NOW. In my series of posts on Assassin's Creed, I've been talking about each individual game, with some reference to how they fit together. For a couple more posts, I'd like to look at the development of the series of a whole and some specific aspects of design and development. It should come as no surprise to regular readers of this blog that the first thing I want to look at is the writing for the series. The first game is front loaded with exposition, which is both slightly clunky and very bold. For a AAA title to start off with a lot of dialogue just to set the scene is unusual, but it relies on the unique premise in order to pique the interest of the player and maintain their interest. For the most part, it works. 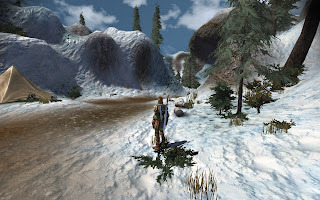 The problem is that this technique is maintained through the entire series, as though the designers either expect players to come in fresh for each title, or to have forgotten what came before. Admittedly, televisions shows often give a recap of previous weeks, and they're often seen only a week apart, as opposed to a year or more as is the case with video games. The manner of delivery in AC is just a little more forced - the writers and cinematic team haven't yet come up with a natural method of giving a recap. An interesting aspect of the writing in AC is that it has multiple layers of storytelling. The primary story of each game is centred around the ancestor whose life Desmond is reliving via the Animus, so far, Altair or Ezio. The storytelling in these is reasonably solid, though there has been a distinct increase in quality as the designers have worked out the best way to use the tools at their disposal to create a cohesive and coherent interactive and cinematic experience. 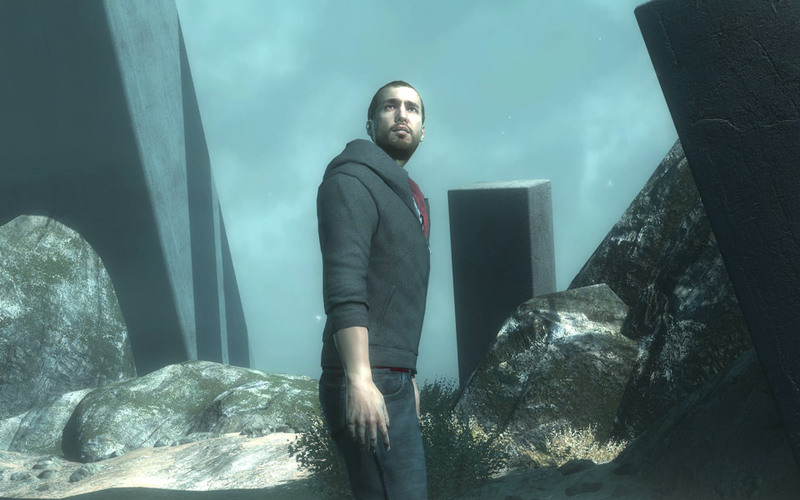 Outside (and inside) of the main story of the Animus, there are other pieces of narrative that fit into the overall plot. 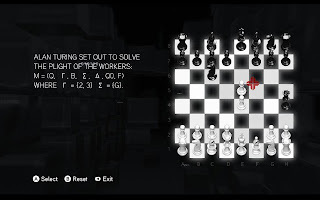 The puzzles that hint to a vast conspiracy tracking through major historical events that many people will recognise helps to push this aspect of the storytelling in a clever fashion. The fact that the player has to work to find these puzzles, and then many contain messages that are encoded with ciphers or written in morse code or the like adds to the flavour, though of course a quick trawl of the Internet can uncover all the answers with minimal effort. Who would have ever though of delivering conspiracy theories through chess? Perhaps the biggest weakness of the narrative is that of the overarching plot of the series: some cataclysm that will wipe out the Earth if Desmond doesn't do something to stop it. This was introduced right at the end of the second game, though there were vague hints of this before. The problem with this is that despite every character within the game being so interested in Desmond, and him apparently having many important assassin ancestors, he doesn't really feel that significant to the player. He's a protagonist who the player doesn't really know anything about and never really sees much. In AC1 Desmond wanders around slowly inside Abstergo. In AC2 he follows Lucy out of Abstergo and jumps around in a warehouse. He does the most in AC:B, where he gets to run around Monteriggioni and around and inside the Colosseum, but then in AC:R does virtually nothing again. The problem isn't just that the players don't really know who Desmond is, but that the modern story is doled out with such huge gaps in between that there isn't any continuity of his story. Even worse is that the intentional ambiguity of the story and the "first" beings is that it obscures key facts. How many people knew that the reason that Desmond stabbed and killed Lucy at the end of Brotherhood was because she had actually switched sides to the Templars? I'm guessing it would be a very small number. The vague nature of the overarching plot is obviously so that the writers can maintain a sense of mystery over the upcoming disaster and the solution to survive it, but this vagueness just comes across as poor writing or their inability to come up with any plausible or concrete. It feels like they're relying solely on this "ancient powerful beings" trope to justify the more extravagant ideas that they can come up with to further the conspiracy and the series. The "Apple" as shown in AC1 had a vague religious air to it, but this was supplanted in subsequent games by the concept that it was created by some past super race of beings than somehow are still talking to Desmond through his ancestors... or by some method that's never really explained. Inside the Animus they don't seem to be heard by the others he's with, and in Brotherhood they communicate to him directly but no one else seems to hear a thing. It's just... magic. This might seem a little nit picky given some of the stuff that happens, but there's a difference between stretching believability and just throwing all pretenses of reality straight out the window. The later really begins to happen (to the detriment of gameplay) at the end of Brotherhood. Running around and brainwashing/killing enemies using the Apple was not only dull from a gameplay perspective, but didn't really make any sense with what had previously happened. Don't worry, Ezio, a wizard did it. The stories of Altair and Ezio, as a counterpoint, are typically well delivered. The way their two lives are brought to a cohesive conclusion at the end of Revelations is particularly satisfying. The only potential drawback here is that it definitely feels as though Ezio's story could have been condensed somewhat. 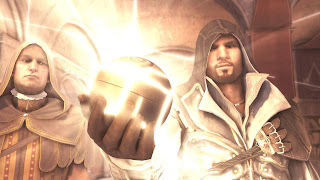 Brotherhood and Revelations may represent different stages of Ezio's life, but the games feel as though they were attempting to artificially extend the storyline without adding a great deal of new content. They feel more like the design team experimenting with new gameplay mechanics while throwing small bits of narrative to fuel experience - ultimately it's just Ezio collecting the Macguffin(s). This isn't to say that the stories are uninteresting, and there are some nice turns in the plots of both, but they really don't push the envelope as much as they coud. What remains to be seen is how the designers will up the ante with AC3 in their narrative. Hopefully they will push it in a direction that will develop the strength of the "main" plot, or at least provide some clarity in its delivery of that part of the story.